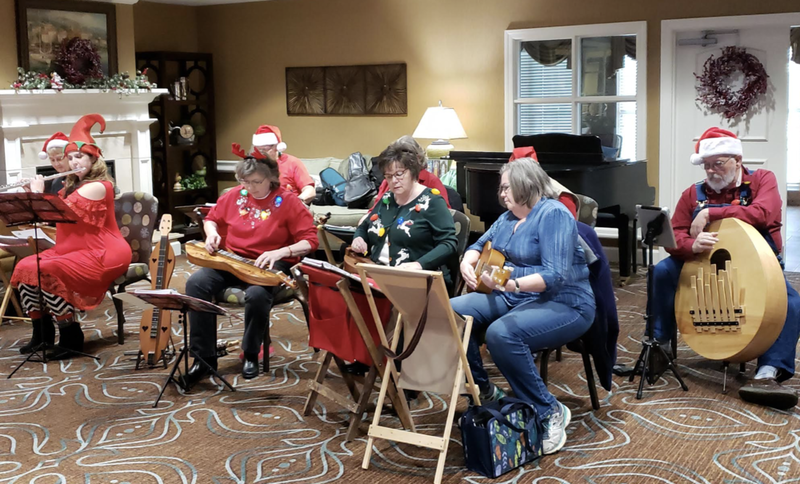 On Thursday while visiting mother, Elaine and I were told a dulcimer group was playing at NHC ( National Health Care) Gallatin. Curiosity got the best of us so we went to check it out. 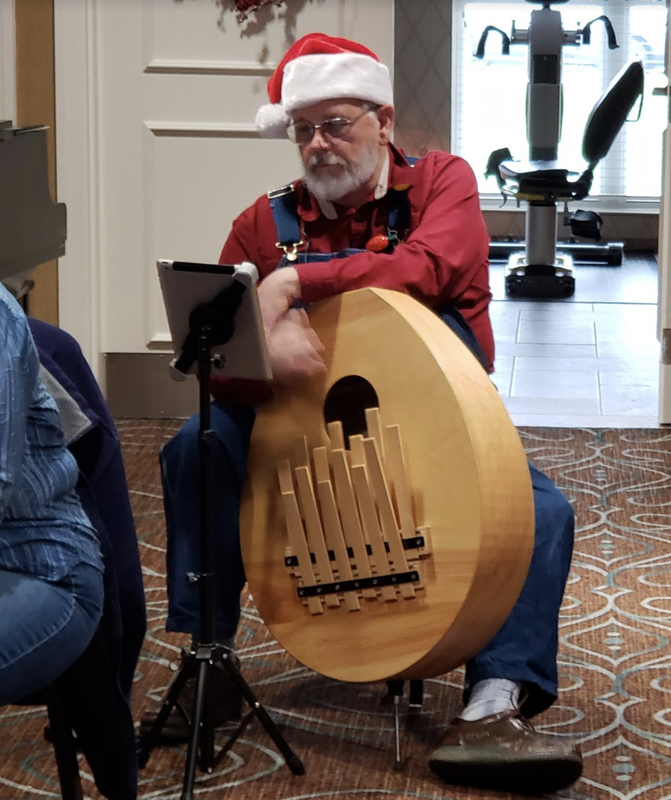 A neighboring dulcimer club from west Tennessee made up of people from Houston and Stewart County known as “All Strung Out” led by Dorris Borens entertained the residents with a 45 minute Christmas concert. All of their music pieces were arranged by Doris herself. Simple but rich sounding tunes. I asked her when she planned to publish a book. The marimbula was an interesting instrument accompaniment to the group. One of the residents joined in with with the playing of the bells for Jingle Bells. It was great to hear and experience a neighboring dulcimer group who undertook a two hour drive one way to share their talents. Patient participating in Jingle Bells. The Grand Old Dulcimer group performed at the Ellington Agricultural Museum. It was well attended and enjoyed by all! Check out the October 7, 2018 blog entry News From Yoshie if you have not already. Now you can see the the second half live performance. Yoshie and friends from her choir in Japan present the dulcimer segment just after the piano duet. Enjoy.